It’s been a long winter, but spring is finally here in Southeastern Wisconsin! It’s the best season to start your landscaping projects and add value to your property. The key is to not break your bank but still add undeniable value and visual appeal. Good landscape design has the potential for a 20% increase in resale value of your home. Done right, you can also raise your property value by 12%, increase your homes ROI by 50+% and decrease the time it takes to sell your home. Think about it – the first thing someone sees, the very first impression of your property and home is the exterior. It is recommended you invest approximately 10% of your home’s complete value into your landscaping and exterior design. Whether it be soft scape projects like adding shrubs, trees and plants, or hardscape renovations such as decks, fireplaces or pits, fencing, garden and yard walkways/pathways, or lighting fixtures. First things first – consult with a professional landscaper and develop a solid plan. Koch Kuts is your top choice lawn care and landscaping company in Burlington, Wisconsin (servicing all surrounding areas). You don’t want to start a project without a solid plan or you may end up spending unnecessary money or lack efficiency. You also don’t want to start the wrong types of projects for your property. There are a number of hardscapes that will add undeniable value to your property. The most common are decks and patios. Especially when you add an outdoor fireplace or fire pit – this not only adds visual appeal but also gives you a great space to entertain guests all summer long. Imagine increasing the value of your home by up to 12% – and making yourself and awesome area to hang out with your family, friends and neighbors. Investment wise, the ROI is high, and the cost is low. You can also consider adding a water feature such as a hot tub, small pool or a fish pond. Think comfort, fun, appeal and seamless beauty. New Trees are very affordable and can provide long term value, protection, shade and beauty. It is important to remember that depending on the type of tree there may be some added maintenance. A professional landscaper from Koch Kuts can advise you on the best trees for your yard and level of maintenance preferred. Typical cost can range anywhere from $50-$200 for decent new trees and, well-kept, will provide undeniable long term value. Some of the most recommended trees are Sugar Maples, Red Cedar Trees, Northern Red Oaks, and Colorado Blue Spruces. Low cost with high value – outdoor lighting can increase visual appeal of your landscape as well as create a beautiful evening environment. You can strategically highlight certain areas and accent your trees, garden or lawn. This is also a visually appealing way to add extra security to your yard and safer pathways and driveways. Night lighting can be a high selling point for some homebuyers. We will be able to advise and work with you within your budget and design needs. 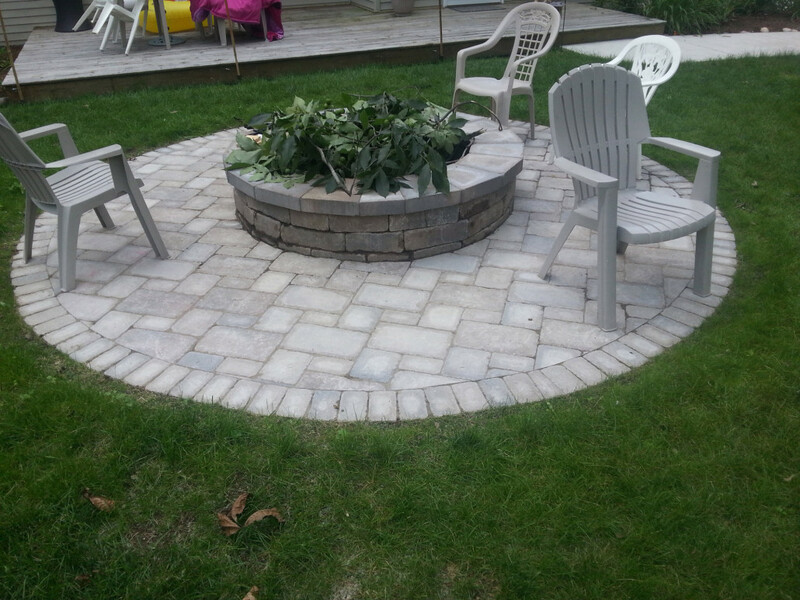 We will help plan the best layout and plan to get your landscaping projects underway. We will also provide a cost effective estimate and complete the work for you in a timely manner. Value without breaking the bank – We have you covered. Contact Koch Kuts for professional landscape design and a free landscaping estimate.